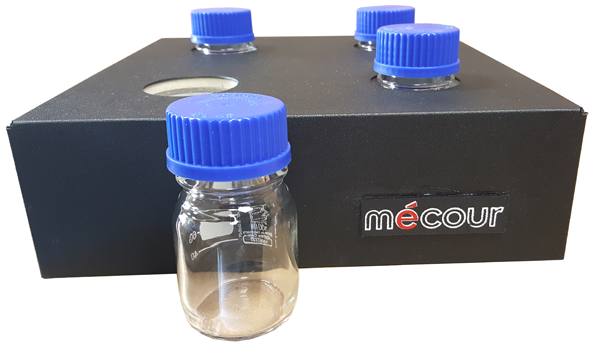 MéCour produces temperature management systems that will accommodate any reagent or media bottle and provide uniform temperature to sample volume. Temperature range for these systems are between -20°C to +150°C. 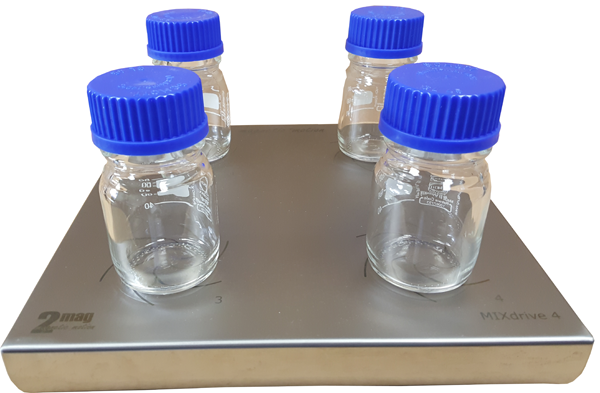 In addition to providing uniform temperature to sample volume, you can integrate the thermal portion of the system to a magnetic stir plate. These systems are designed per end user requirements that would include temperature and RPM. Stir plates can provide gentle suspension up to 900 RPM. Thermal units can accommodate between 1, 2, and 4 bottles. 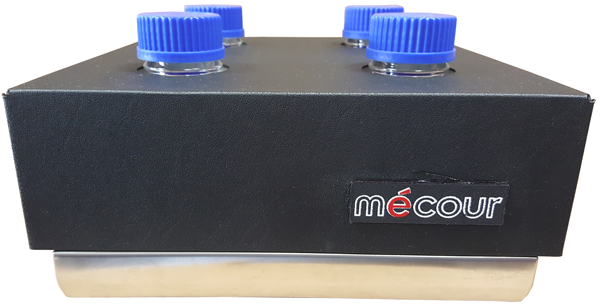 These compact systems are suited for benchtop applications or placement adjacent to automated platforms.